We collected the majority of metadata history records for Relm.com. Relm has an elaborated description which rather positively influences the efficiency of search engines index and hence improves positions of the domain. The description and keywords of Relm were last changed more than a year ago. 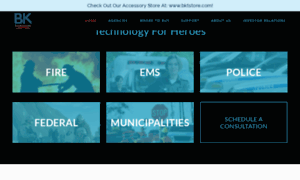 BK Technologies is the leading provider of public safety, industrial ready, two-way radios Nation wide. With reliability for over 70 years. RELM Wireless provides a high quality two way radio design which is manufactured in the US and shipped all over the world.